Welcome to my latest news. Please check in often to be kept updated with my new works and activities. Blast! is a festival of photography, talks and walks that will take place over six weeks across the six towns of Sandwell from 24 May to 29 June 2019. Blast! is a celebration of people, art and place – over 40 local, national and international artists have been invited to make new work, in collaboration with local communities, that will be presented in locations across Oldbury, Rowley Regis, Smethwick, Tipton and Wednesbury with the festival opening in West Bromwich. Produced by Multistory, supported by Arts Council England - Ambition for Excellence and Sandwell Council. 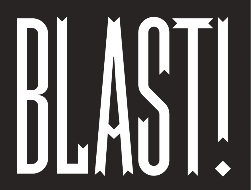 The festival programme and events will be announced on the Blast! Festival website due to launch early in 2019, or you can contact us here.